Baby girls rainbow cake smash tutu, birthday tutu, or Halloween clown tutu. 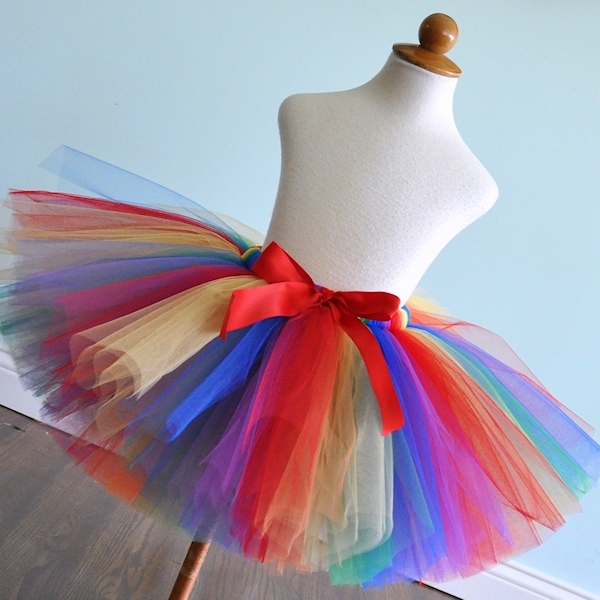 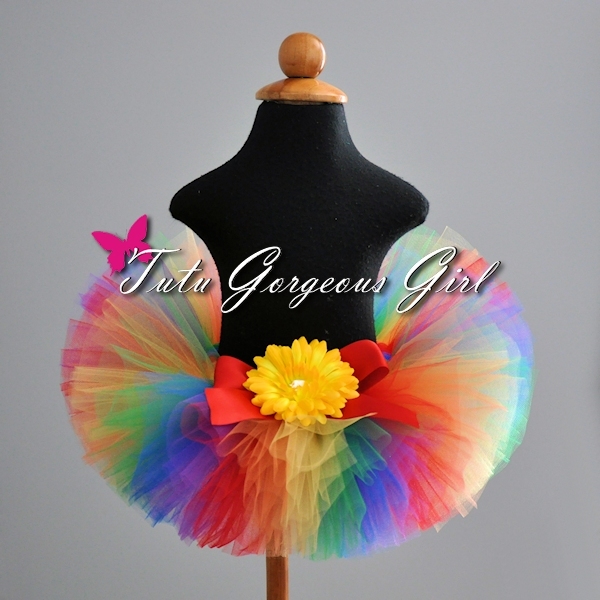 The Rainbow Fun tutu features all the boldest colors in the rainbow. 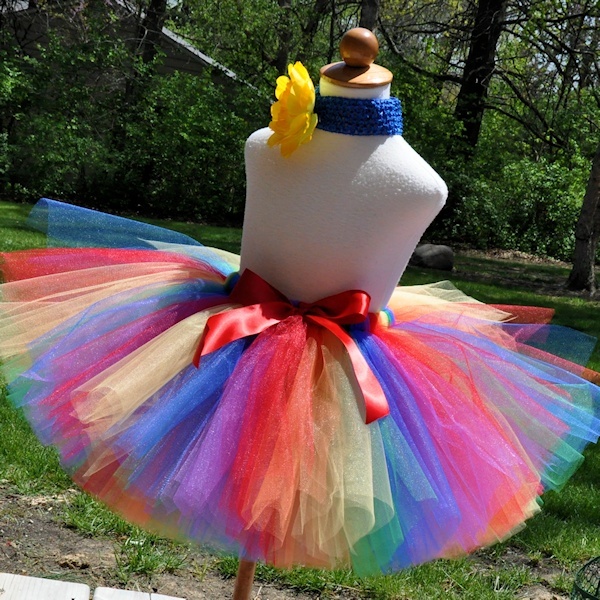 This is a perfect tutu for a Clown or Circus themed birthday party, cake smash photo session or children's character tutu. Also a great addition to your little one's Halloween costume. Tutu includes a satin bow at the waist and optional flower clip and stretch headband.